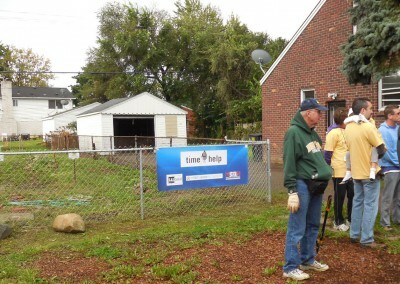 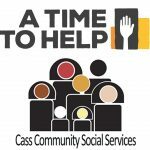 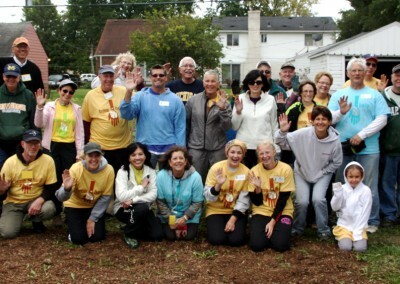 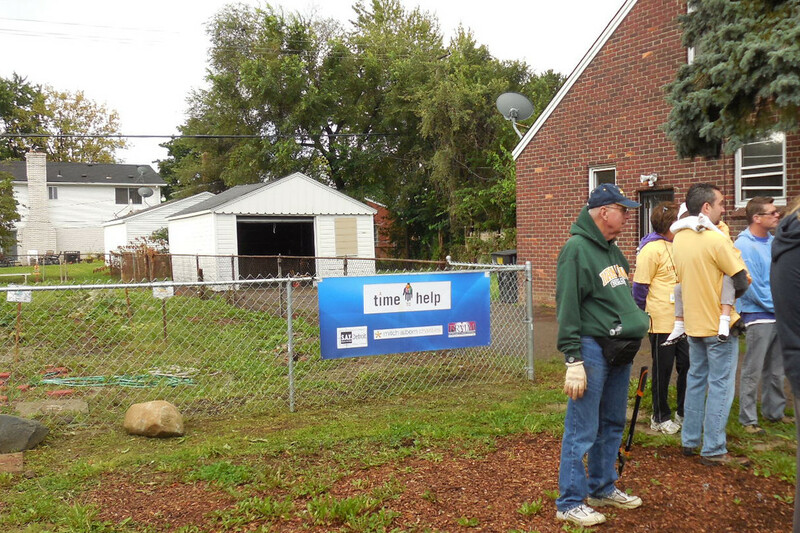 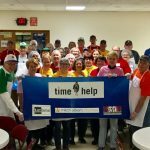 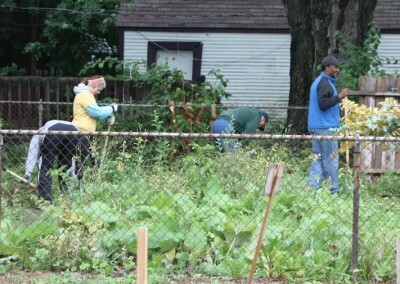 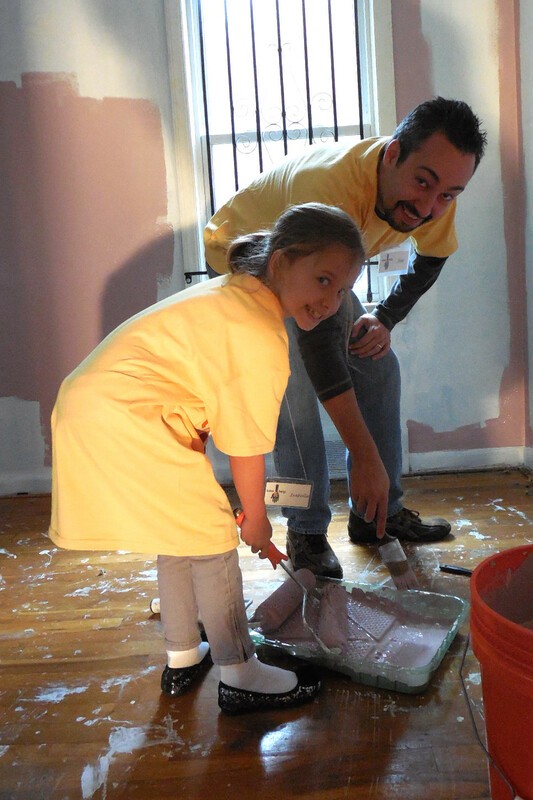 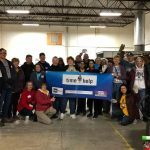 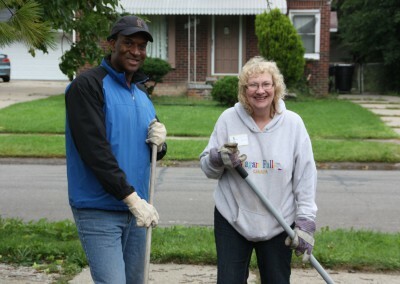 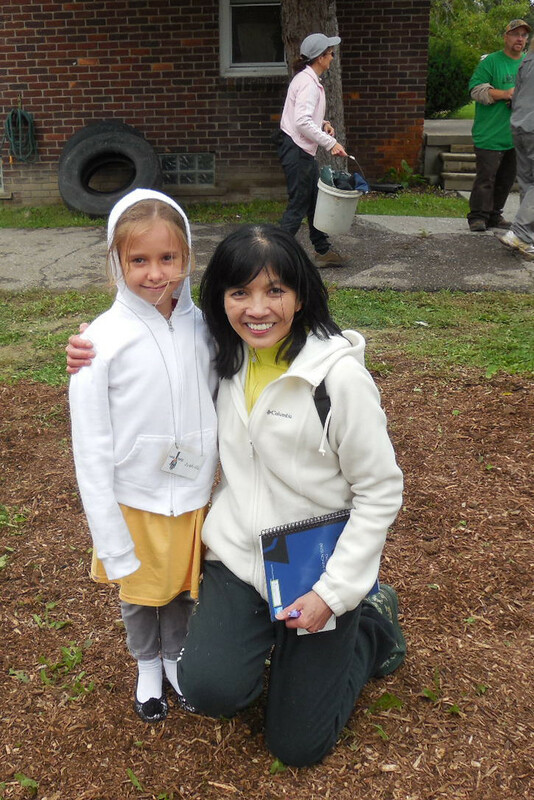 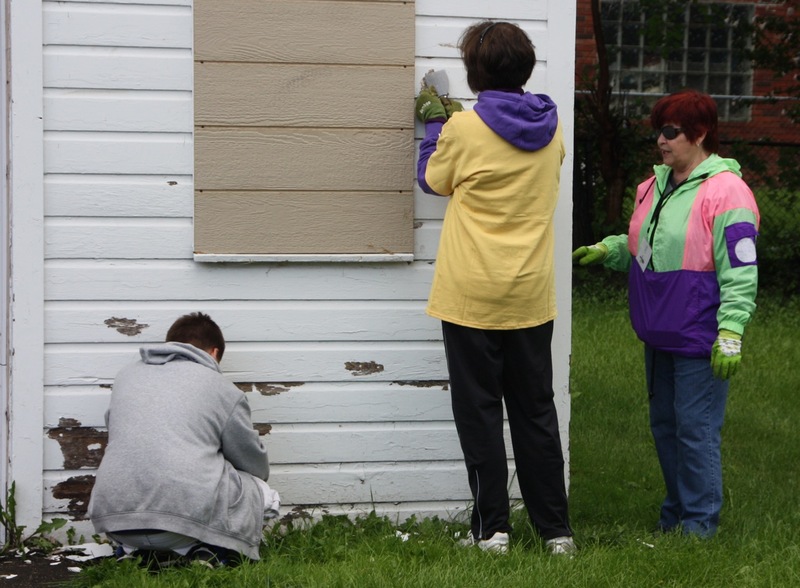 Despite unseasonably chilly weather, over 30 A Time to Help volunteers gathered on Saturday, September 13 to help with yard rehab with LifeBUILDERS. 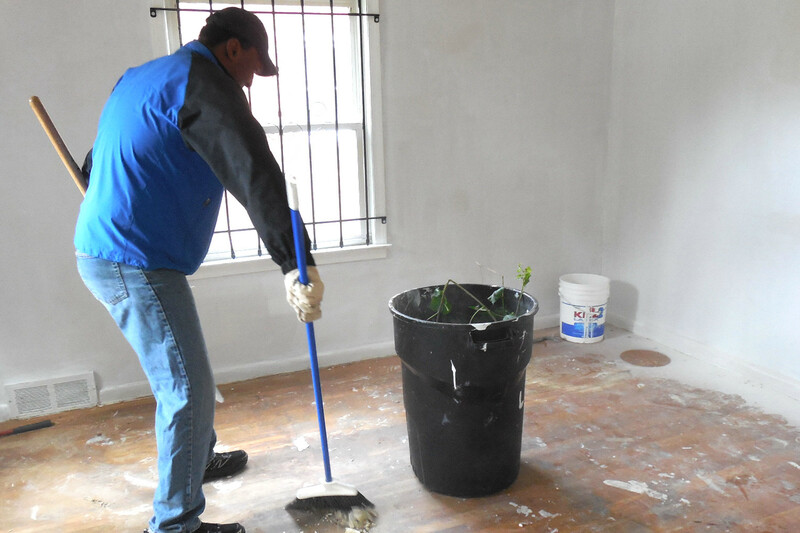 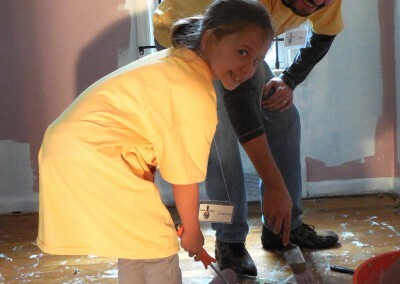 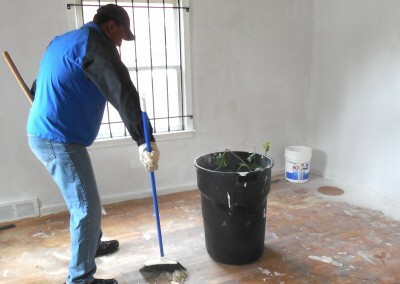 LifeBUILDERS is a 501(c)(3) faith-based organization that acquires houses in the Regent Park area to rehab in order to provide affordable housing. 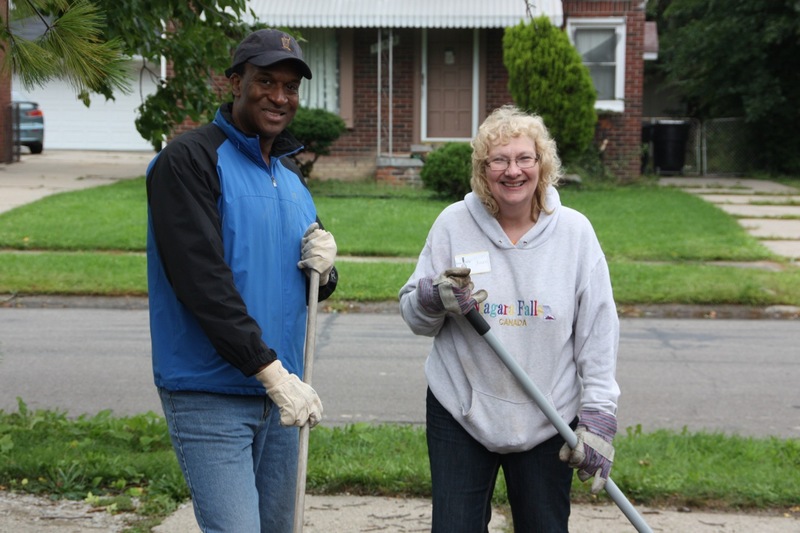 As a result, the community is strengthened with individuals and families committed to reside and take ownership in revitalizing the area affected by blight, crime and declining population through neighborhood activities that foster hope amongst residents. 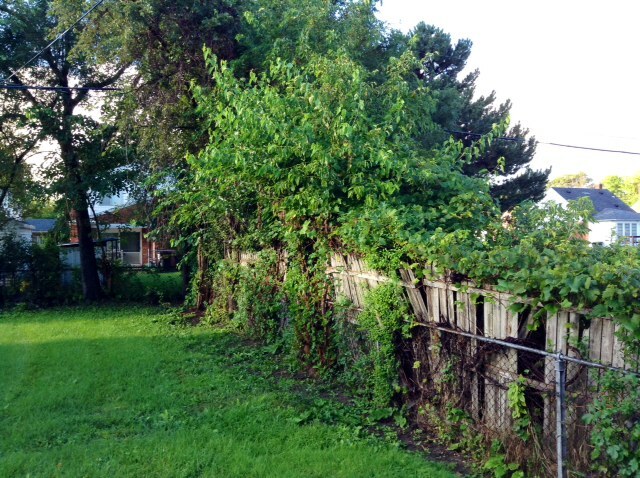 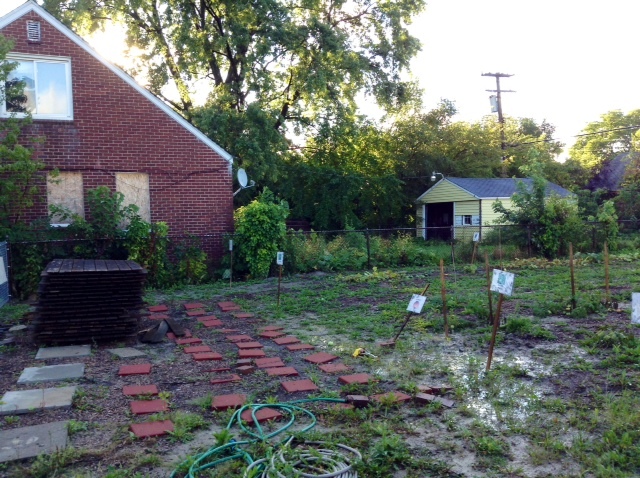 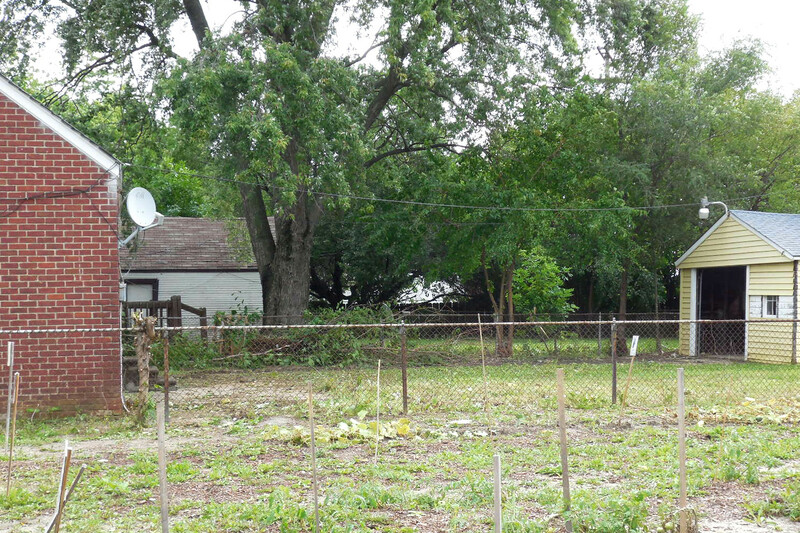 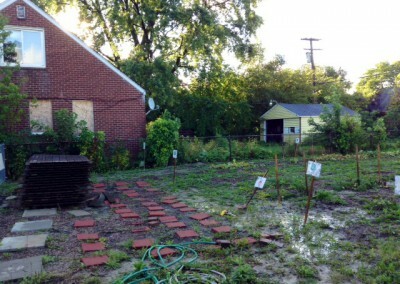 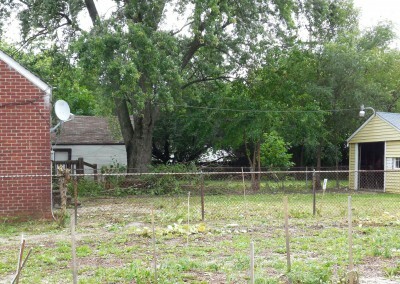 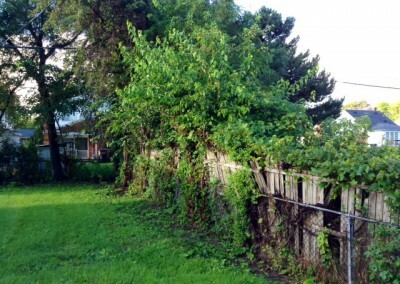 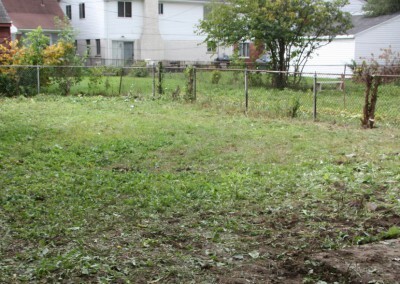 The yard surrounding the home on Bringard Drive had a jungle-like overgrowth. 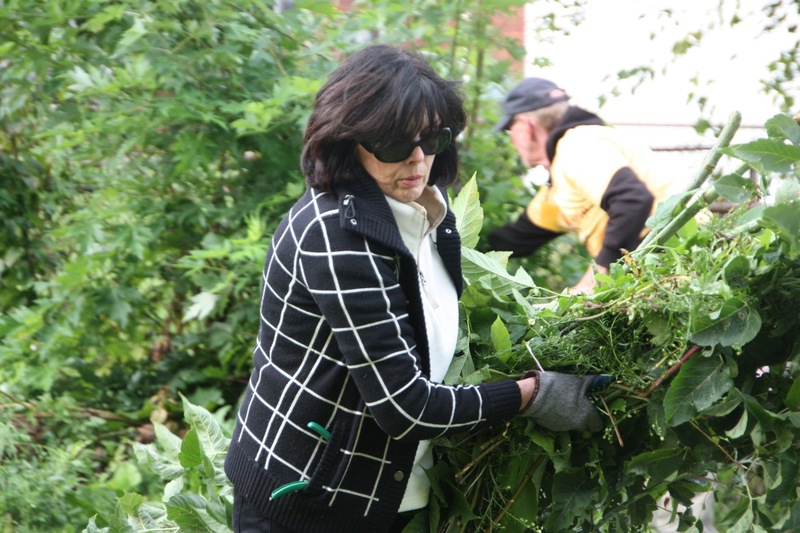 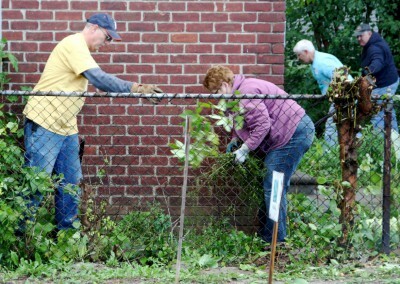 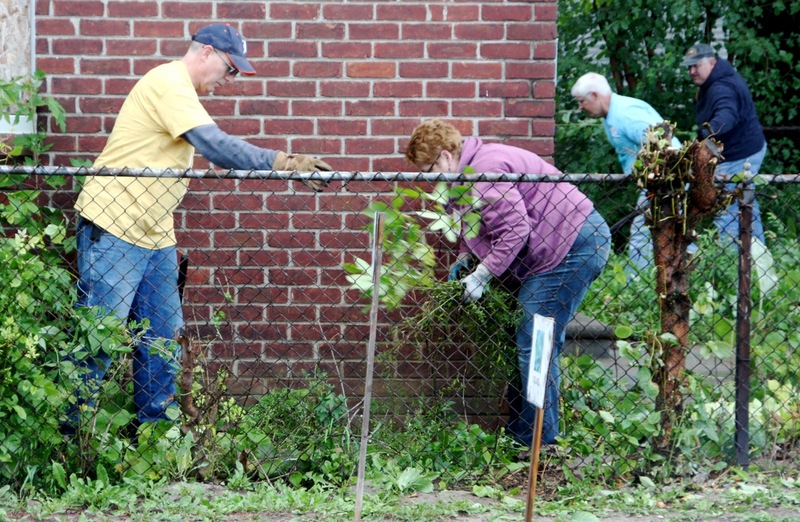 Volunteers mulched in front of the community garden to facilitate preparation for next season, scraped loose paint on the garage, and pruned back brush and shrubs along the fences. 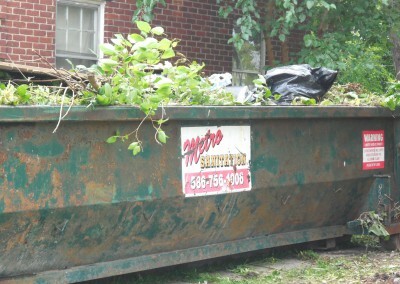 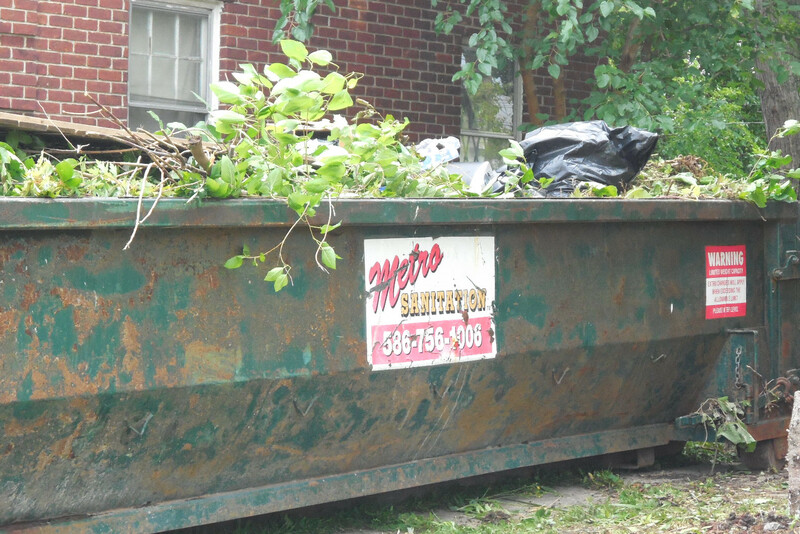 The debris completely filled the dumpster. 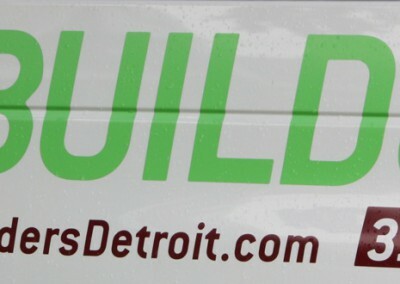 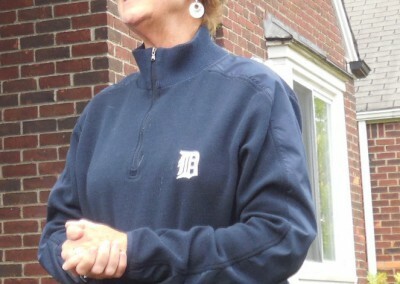 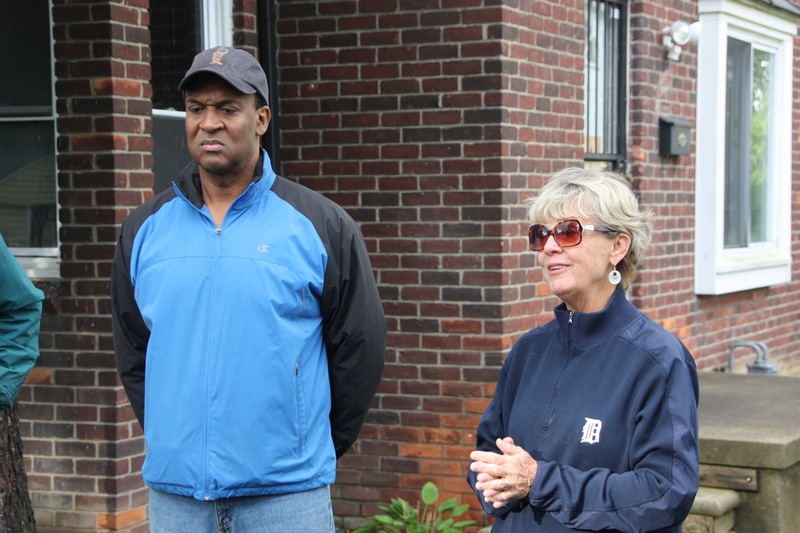 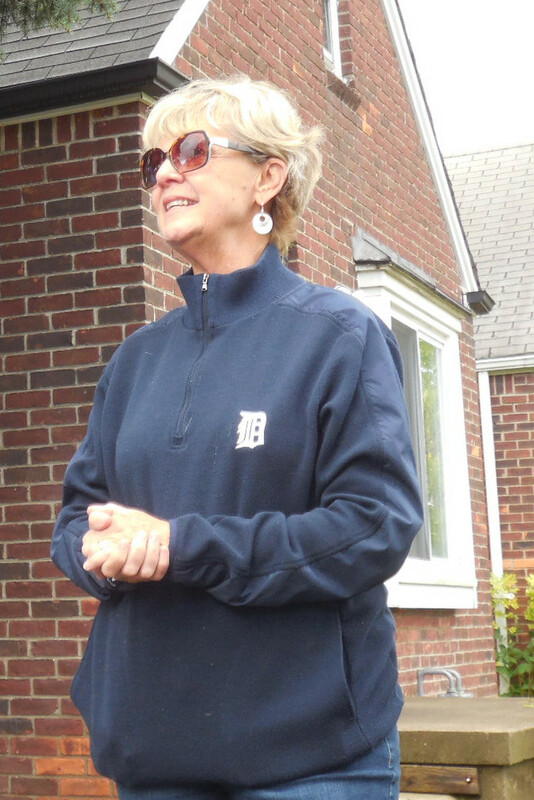 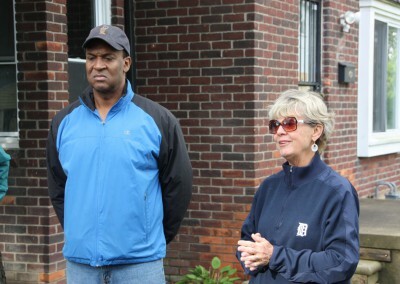 Marilyn Johnson of LifeBUILDERS said being featured on a The Heart of Detroit segment is attracting people to the area to help in the renaissance, house by house.